All too often I hear comments in the clinic among runners about their lack or complete absence of balance. “I have never been able to balance” or “I’ve always been a klutz!” Comments like these SCREAM injury to me. Being able to balance is important in running. Poor balance results in obscure movement patterns that are a literal and figurative drag on your running. Most runners appreciate that, to some degree, strength training is important for runners. Whether they act on this knowledge is another can of worms. While strength and power get all the gloat, the underlying attribute of balance makes the world go around. Every runner should spend a period of time airborne. By definition, running lacks a “double support phase.” This simply means that both feet are never touching the ground at the same time. When you’re not airborne, only one foot is interacting with the ground. The other foot is advancing through “swing phase.” Here’s where most people run (pun intended) into trouble. Lacking balance during simple balance tasks typically translates to poor balance in advanced tasks (i.e. running). Running is certainly an advanced task. It challenges your balance as your center of gravity is propelled forward over a single leg stance, while a sequence of muscles fire together to keep you upright and moving down the road. Running on uneven surfaces or in minimalist shoes create even more challenge. You can find poor balance both in your daily life and in race photos. Do you constantly sit down to put your socks and shoes on? Maybe you’re constantly hanging on to objects as you climb the stairs or get out of a chair? An easy way to tell if your balance is poor is by looking at old race photos. Are your arms flailing out away from your body? Maybe they are asymmetrical—one tucked close, the other out wide? Are your shoulders and/or hips symmetrical or at different heights? Are your knees caving in towards one another? You may also notice physical signs that your balance is off. Do you have mud or kick marks on the inside of your calves after a run? Take a look at the bottom of your sneakers – are there differences between the wear patterns on the soles? Looking at your bare feet gives you a closer look at your run form. Do you have missing toenails, callouses, etc.? If you can relate to any of these examples you are at risk for injury down the road. SO… HOW DO I FIX IT? The first task is to address any issues with your STABILITY. Stability refers to your body’s ability to support itself. Once mastered, the goal is to accept and tolerate load without failing. 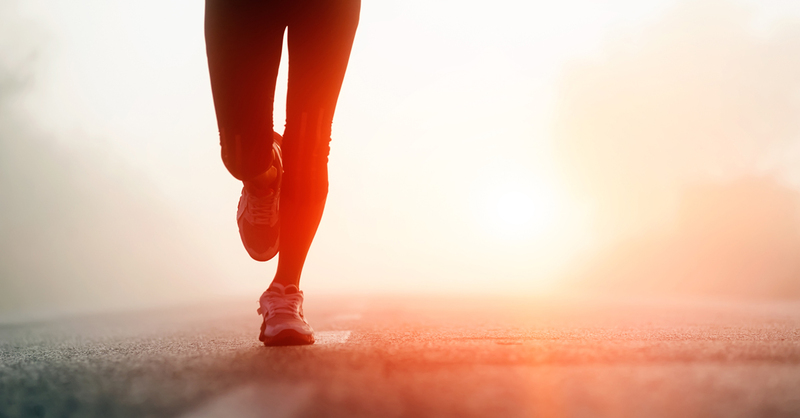 Each foot contact during a run subjects your joints to 2-3x your body weight. Balance falls under the stability umbrella. Improving your balance is all about challenging the system. As you wobble, tip, and claw the floor with your foot – the body is learning. With consistency and repetition you will improve, allowing you to advance to higher level and more running specific activities. Work on balancing on one foot, then the other throughout the day. This is easily integrated into brushing your teeth, cooking, or standing in a meeting. Begin working in multiple planes of movement. Forward, sideways and backwards “step-to” balancing tasks are a great progression. Lunges and reaches are a great final progression to build strength and balance. There are multiple planes of movement to accomplish this, but the starting point and dynamic tasks above should be mastered. 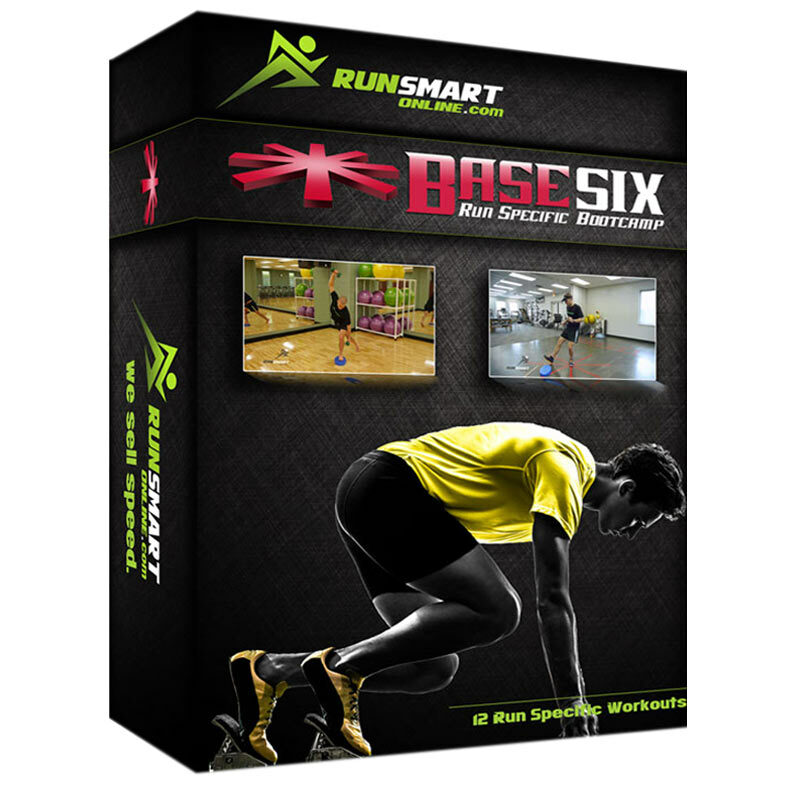 If you’re interested in starting a high-level dynamic program, check out Day One of BaseSix Bootcamp. You can start a $1, two-week trial here and get started immediately. REMEMBER: Improvements in balance don’t happen overnight. Like every other aspect of training – gains are made slowly and steadily when incorporated routinely in training. 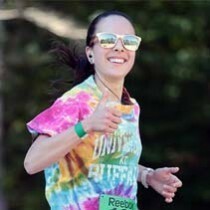 After graduating with her Doctorate in Physical Therapy from The University at Buffalo, Ashley Waite began implementing evidence based treatment techniques as a clinician, while pursuing continuing education to enhance her knowledge of running kinematics, gait analysis and prevention of common running injuries.